The oldest cultured pearls made in saltwater, the Japanese Akoya pearls are a stunning white color, with a distinctive shine. It is that shine that pushed us to create a collection of jewelry with Japanese cultured pearls, focused on a sober elegance with a dash of light and shine. Aurore Sterling silver créole earrings with Akoya pearls.A pair of créole style earrings decorated with two small Akoya pearls.An elegant and comfortable pair of earrings designed to be worn anywhere.Akoya cultured pearls, 4.5-5mmAll of our jewelry comes in an individual jewelry box along with a GIA authenticity certificate. 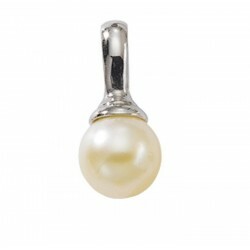 Myka Sterling silver Akoya Japanese cultured pearl pendant. A Japanese Akoya cultured pearl on a sober pendant, with a 42cm rolo mail silver chain.Round Japanese Akoya cultured pearls, 7-7.5mm AA+/AAA qualityAll our jewelry comes in an individual jewelry box along with a GIA authenticity certificate. 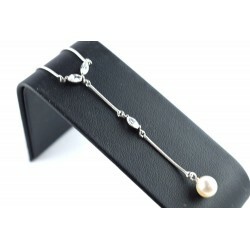 Nature Sterling silver Akoya Japanese cultured pearl necklace. 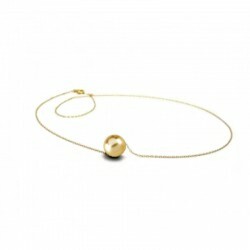 A Japanese Akoya cultured pearl on a Venitian mail chain.A sober and elegant necklace.Round Japanese Akoya cultured pearls, 7-7.5mm AA+/AAA qualityAll our jewelry comes in an individual jewelry box along with a GIA authenticity certificate. 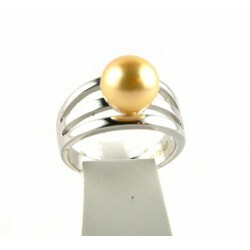 Golden Akoya cultured pearl on a Sterling silver ring. A spilt ring design with an 8mm round gold colored Akoya cultured pearl of AAA quality.All our jewelry comes in an individual jewelry box along with a GIA authenticity certificate. 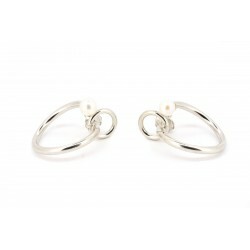 Sterling silver hoop earrings with Akoya Japanese cultured pearls. 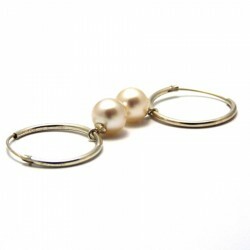 The charming and elegant Japanese cultured pearls on equally sober silver hoop earrings.Round Japanese Akoya cultured pearls, 7-7.5mm AA+/AAA qualityAll our jewelry comes in an individual jewelry box along with a GIA authenticity certificate. 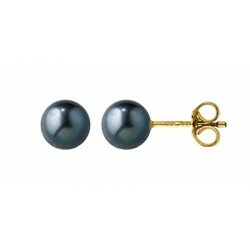 Okino Sterling silver hook earrings with Japanese Akoya cultured pearls. 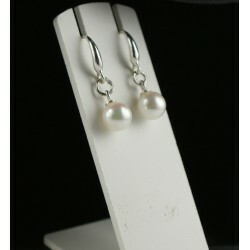 Pretty silver hook earrings with white Japanese cultured pearls. 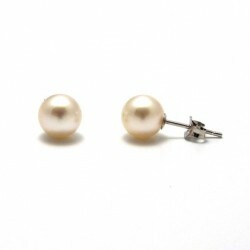 Their resplendent shine goes exceptionally well with silver.Round Japanese Akoya cultured pearls, 7-7.5mm AA+/AAA qualityAll our jewelry comes in an individual jewelry box along with a GIA authenticity certificate. 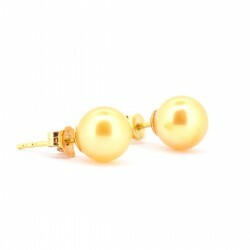 Junko 18 carats gold stud earrings with Japanese Akoya cultured pearls. 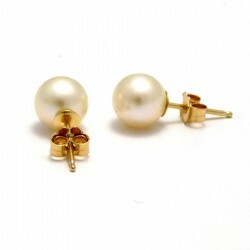 Our classic 18k gold stud earrings with the elegant Japanese Akoya cultured pearls.Round Japanese Akoya cultured pearls, 7-7.5mm AA+/AAA qualityGold weight : 1.30gAll our jewelry comes in an individual jewelry box along with a GIA authenticity certificate. 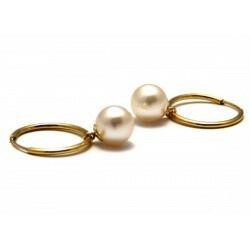 18 carats gold hoop earrings with Akoya Japanese cultured pearls. 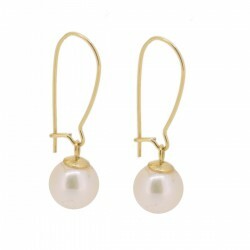 The charming and elegant Japanese cultured pearls on the ravishing gold of the hoop earrings.Round Japanese Akoya cultured pearls, 7-7.5mm AA+/AAA qualityGold weight : 1.1gAll our jewelry comes in an individual jewelry box along with a GIA authenticity certificate. 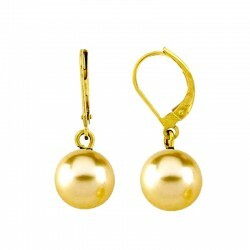 18 carats gold hanging hoop earrings with Akoya Japanese cultured pearls. The charming and elegant Japanese cultured pearls with a flash of gold.Round Japanese Akoya cultured pearls, 7-7.5mm AA+/AAA qualityAll our jewelry comes in an individual jewelry box along with a GIA authenticity certificate. 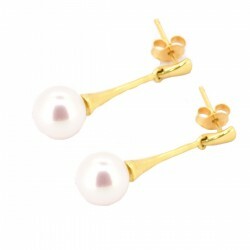 18 carats gold earrings with Gold Akoya cultured pearls. 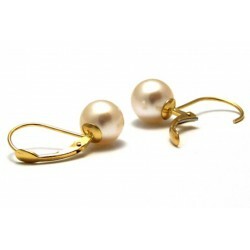 The elegant and original gold Japanese cultured pearls on the ravishing gold of the earrings.Round Japanese Akoya cultured pearls 7,5-8 mm AAA quality Gold weight : 1.3g All our jewelry is delivered in an individual jewelry box along with a GIA authenticity certificate. Princess Gold necklace with Akoya Japanese cultured pearl A Japanese Akoya cultured pearl on a 18 K gold chain A sober and very elegant pearl necklace.Round Japanese Akoya cultured pearl 7,5- 8 mmmm AAA quality All our jewelry is delivered in an individual jewelry box along with a GIA authenticity certificate. 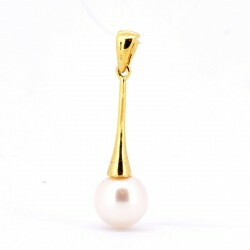 Tokyo 18 carats gold and Akoya Japanese cultured pearl pendant. 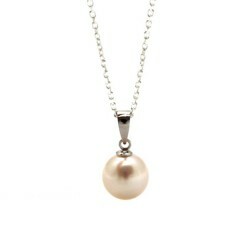 A Japanese Akoya cultured pearl on a simple white gold pendant.Round Japanese Akoya cultured pearls, 7-7.5mm AA+/AAA qualityGold weight : 0.80gAll our jewelry comes in an individual jewelry box along with a GIA authenticity certificate. 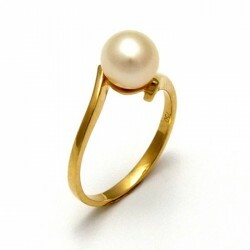 Reine Japanese Akoya cultured pearl 18 carats gold ring. "Reine" means "Queen" in French. 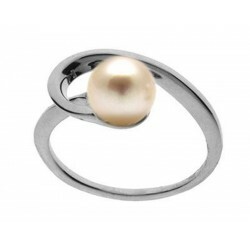 The pearl's overtone and shine perfectly captures the name of the ring.Japanese Akoya cultured pearl, 7.5mm AAA qualityGold weight : 3gAll our jewelry comes in an individual jewelry box along with a GIA authenticity certificate. Archipelago 18 carats gold ring with an Akoya Japanese cultured pearl. 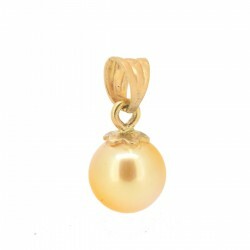 A Japanese Akoya cultured pearl on a simple yellow gold ringRound Japanese Akoya cultured pearls, 7-7.5mm AA+/AAA qualityGold weight : 4.55gAll our jewelry comes in an individual jewelry box along with a GIA authenticity certificate.